Baguio Food is giving away Baguio City’s finest food! 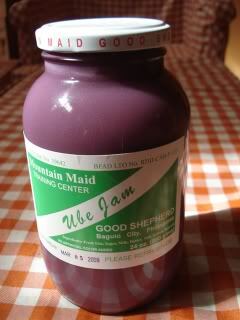 Good Shepherd’s Ube Jam is first on her list. Jump in to her blog site and be the 499th commenter to win! Multiple entries are allowed but refrain from spamming her comment section. Only 5 comments per person daily is allowed.